The Health Ministry's surprising decision to exempt the firm's new iQOS e-cigarette means it could even be sold to children. This week, an Israeli nonprofit filed a High Court petition against the Health Ministry following its surprising decision to exempt international tobacco giant Philip Morris’ new e-cigarette, iQOS, from regulation. 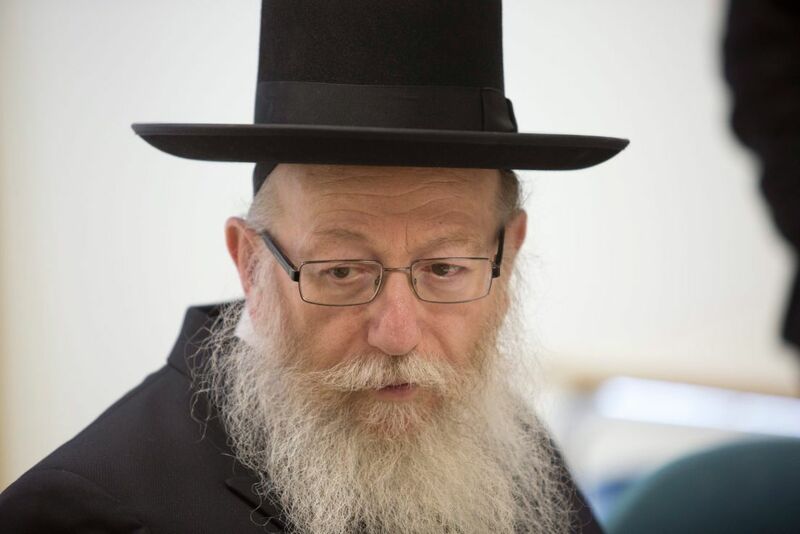 Health Minister Yaakov Litzman's decision means that the e-cigarette can be marketed in Israel without any warnings or restrictions, and that it will not be subject to the usual taxes on tobacco products. A warm welcome into the Israeli market - courtesy of the Health Ministry. 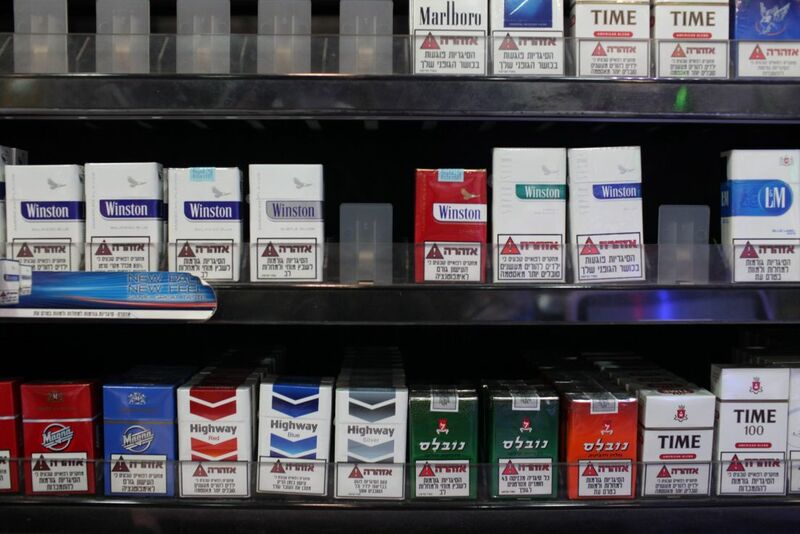 The laconic announcement by the Health Ministry two weeks ago belied the fact that the health minister was effectively disregarding his duty to safeguard Israelis’ health and granting Philip Morris a huge gift. The statement said that iQOS would not be subject to any restrictions pending the FDA’s decision on the product. This position runs counter to that of the attorney general, the Health Ministry’s legal advisor, the Israel Medical Association, the Israel Cancer Association, and even to previous public official statements by Litzman himself. The Health Ministry statement says that the restrictions that presently apply to tobacco products — regarding advertising and sales, usage in public places, and reporting of ingredients — should also apply to electronic cigarettes. But it goes on to say that Philip Morris’ new flagship product, the iQOS e-cigarette, will not be subject to regulation. “In this area, there is as yet no clear worldwide regulation, in particular from the FDA, which is currently discussing the issue,” said the statement. “We will wait to see the FDA decision.” While e-cigarettes work by vaporizing (“vaping”) rather than burning tobacco, reports from the company itself say that toxic chemicals are still emitted by the new cigarettes. “The ministry’s policy poses an immediate danger to public health in Israel,” was the unusually harsh response from the Israel Medical Association to the ministry’s announcement. With good reason: Philip Morris is now permitted to sell its new toxic product however and to whomever it wants, even to children. It can be used in any public place — on the bus or the train, in movie theaters and restaurants. The company’s big investment in lobbying and PR in Israel over the years appears to have paid off royally. The petition, that was filed by the Association for Progressive Democracy in Israel, is the second one this week regarding the same matter. A few days earlier, a similar High Court petition was filed against the Health Ministry by tobacco company Dubek. This isn’t the first time that Litzman’s Health Ministry has engaged in foot-dragging in connection with the dangers of smoking. In a Channel 2 investigative report in January, journalist Haim Rivlin showed how reporters posing as agents for a company that imports and sells e-cigarettes paid thousands of shekels to a go-between in order to obtain two valuable meetings — with the Health Ministry’s head of public health services, Professor Itamar Grotto and his staff, and with Minister Litzman (of United Torah Judaism party) and his chief aide Motti Babchik. In these meetings, the fictitious company was given priceless regulatory advice — that no legislation restricting the sale of e-cigarettes in Israel was expected. Information from the very people tasked with overseeing this legislation. Litzman has also firmly refused to require cigarette manufacturers to show the dangers of smoking on their products sold in Israel. “No need to spread around ugly pictures,” “It’s not aesthetic” and “We won’t approve it, with God’s help” are just some of the statements that were made by the health minister during Knesset hearings on the matter between 2011 and 2014. 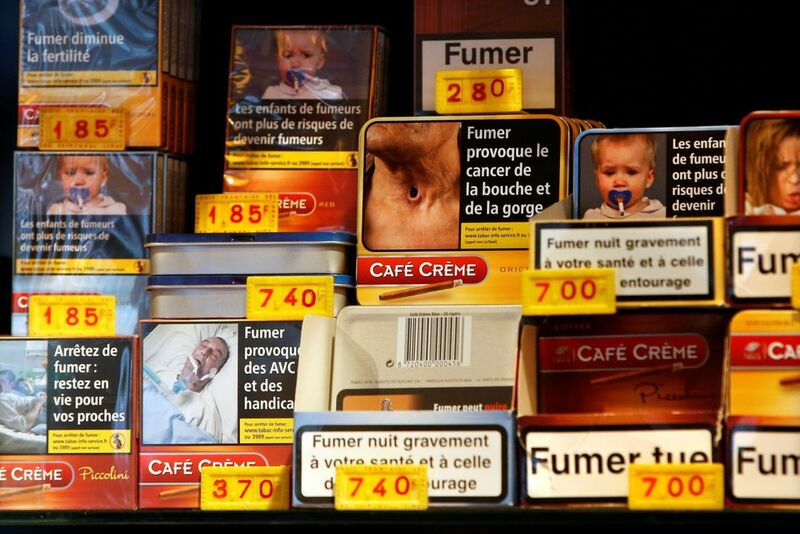 Israel lags far behind other countries in terms of warnings on cigarette packaging. Verbal warnings on packages began in Israel only in 2004 — three years after Canada began adding graphic images to the packaging. These verbal warnings cover just 30 percent of the packaging surface, compared to 75 or even 90 percent elsewhere, and their content hasn’t changed at all since they were first added, despite the need to refresh the wording and appearance of the warnings so that consumers are less apt to ignore them out of familiarity. The small and modest warnings on Israeli cigarette packs have likely become invisible by now to most smokers, thus rendering them useless. “Philip Morris, the world’s largest tobacco corporation, whose products have killed millions of people over the years around the world, including in Israel, has launched an extensive overt and covert media and PR campaign to introduce its new cigarettes in Israel,” the Association of Public Health Physicians wrote in response to the Health Ministry decision. Similar sentiments were expressed by the Israel Medical Association. Now the State Prosecutor will have to defend the Health Ministry in court, even though there is an official letter from the Health Ministry legal advisors and the deputy attorney general opposing the policy declared by Litzman. 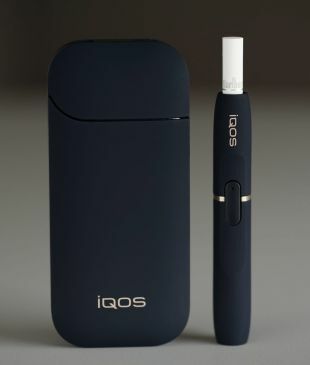 Philip Morris says: “The iQOS system is the result of 10 year of R&D and an investment of $3 billion for the sake of creating an alternative that has the potential to reduce the damage for smokers compared to continuing to smoke regular cigarettes.